We’ve found great deals at 771 hotels! 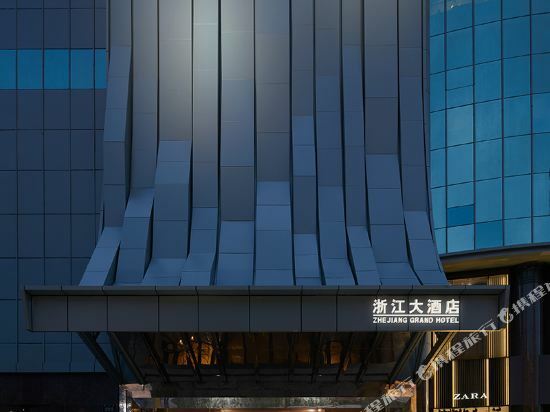 The Merchant Marco Garden Hotel (Make Boluo Huayuan) is a comprehensive business hotel located on Gongkang Road, within proximity to Shangtang Expressway.<br><br>This hotel's design combines classic Italian style with modern elements. Rooms here are fully equipped and designed to give the impression of refined elegance.<br><br>Dining choices on premises include Chinese and Western restaurants, coffee shop and various bars.<br><br>The 370 sq m (3,983 sq ft) conference center is ready to hold all kinds of business meetings and banquets.<br><br>This Hangzhou hotel also features a respectable selection of recreational facilities. Sports fans can play tennis or basketball. Less strenuous games include billiards and virtual golf. After the sports, a foot massage can help guests unwind. The Grand Metropark Hotel (Hangzhou Weijing Guoji Dajiudian) is a 5-star hotel located in the heart of Hangzhou's financial and business center, not far from West Lake.<br><br>This Hangzhou hotel houses various rooms with free broadband Internet access.<br><br>The on-site restaurants serve a selection of Chinese cuisine and Western food. The Rose Bar is a popular place for meeting friends and enjoying cocktails or pints of German beer. <br><br>The hotel's functional hall is well equipped for business meetings. On the top floor is the Continental Club and its attendant business center, conference room and library. <br><br>During their spare time, guests can go for a swim, use the steamy sauna, get a massage, or play a game of tennis or a few frames of bowling. To keep fit, guests can also make full use of the fitness facilities on site. 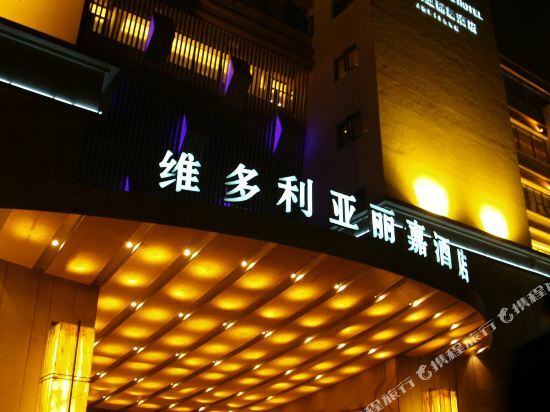 The Lakeview Hotel (Hangzhou Wanghu Binguan) is a four-star hotel located on the shore of Hangzhou's premier attraction—West Lake. As the name suggests, this hotel offers excellent views of the lake, also a convenient and practical hotel for tourists on a budget. 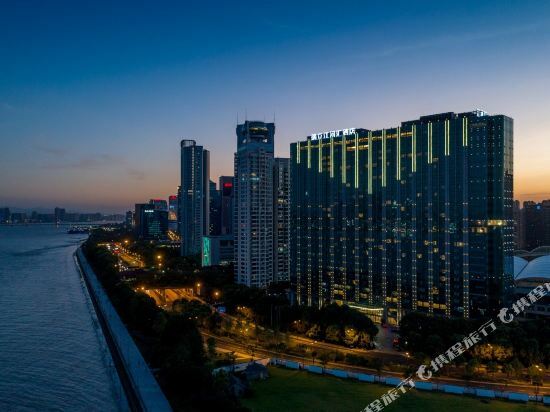 <br><br>This Hangzhou hotel boasts 364 comfortable rooms and suites, most of which feature French windows allowing guests to enjoy the view.<br><br>Five restaurants serve authentic Chinese cuisine and Western food. Guests can also enjoy Longjing tea, a Hangzhou specialty, at the teahouse.<br><br>Eight meeting halls are equipped with simultaneous translation equipments and complemented by a comprehensive business center.<br><br>Other facilities and services include a gymnasium, swimming pool, sauna and a shopping arcade. 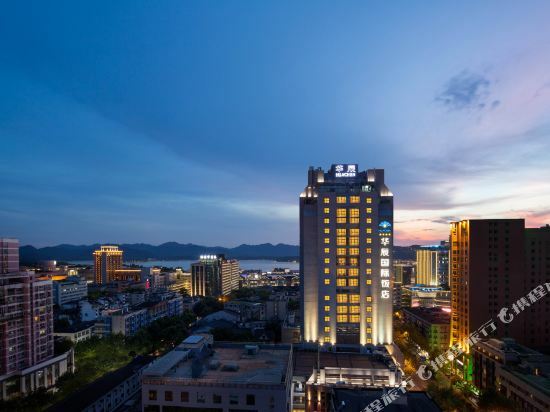 Located by scenic West Lake, the Victoria Regal Hotel Zhejiang (Zhejiang Weiduoliya Lijia Jiudian) is close to Wushan Square and historic Hefang Street. <br><br>Guestrooms in this Hangzhou hotel offer all the standard amenities as well as flatscreen TVs.. <br><br>The on-site Chinese restaurant specializes in Cantonese cuisine and seafood while the Western cafeteria serves Japanese, Korean and French cuisines as well as Italian coffee, Southeast Asian curry and Brazilian BBQ. <br><br>In addition, three variously sized conference rooms are available for business travelers. 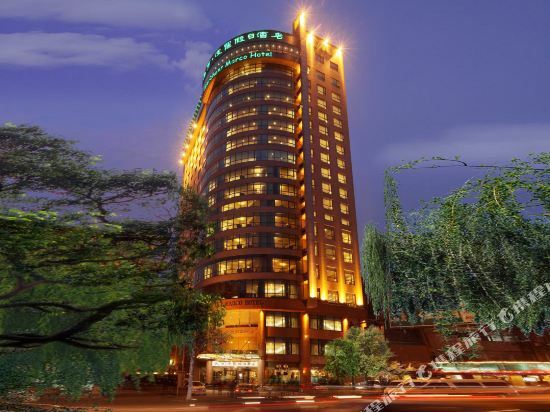 The Zhejiang Hotel (Zhejiang Fandian) is conveniently located near downtown Wulin Square and just a few blocks from &lt;a target="_blank" href="http://www.chinatravel.net/china-destinations/hangzhou/cityintroduction-5.html"&gt;Hangzhou&lt;/a&gt;'s &lt;a target="_blank" href="http://www.chinatravel.net/china-attractions/west-lake/introduction-254.html"&gt;West Lake&lt;/a&gt;. 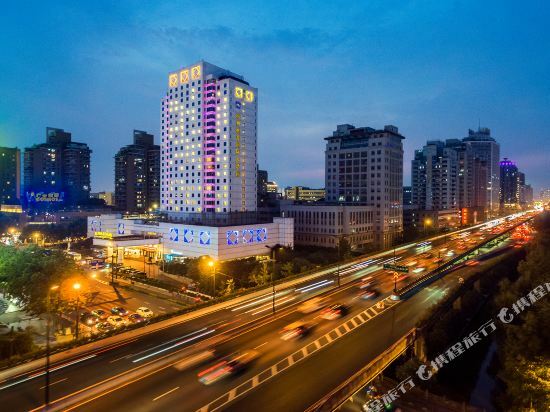 <br><br>Rooms in this Hangzhou hotel are well appointed with German bathroom fixtures, large screen high definition digital TVs and high-speed internet access. The decor is old style Chinese.<br><br>Hungry guests can choose from Western or Chinese fare and enjoy in-room dining or eat in the buffet restaurant which offers a balcony with a view of West Lake over the nearby century-old Tian Xiang Lou restaurant which is among Hangzhou's most famous traditional restaurants.<br><br>Business travelers can make use of the Zhejiang Hotel's six different meeting rooms. <br><br>The recreation center offers a sauna, foot massage and beauty salon. 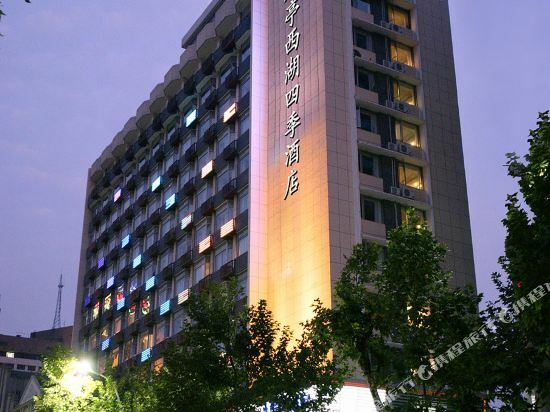 SSAW Boutique Hotel Hangzhou Lakeside is located in Hangzhou's financial center. Guest rooms are equipped with international direct dial telephones, broadband Internet access, en-suite bathrooms, down pillows and quilts. 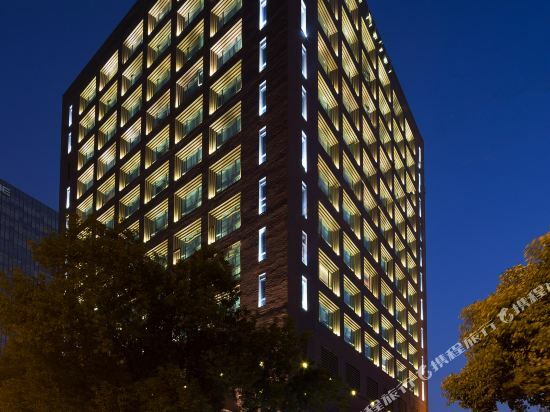 The Narada also offers a wealth of other amenities and services including a business center, library, ice machines, private secretarial services, a travel desk, parking Three conference rooms outfitted with state-of-the-art facilities are also at guests' disposal. This Hangzhou hotel also has fitness facilities, foot massage and a coffee shop on-site. 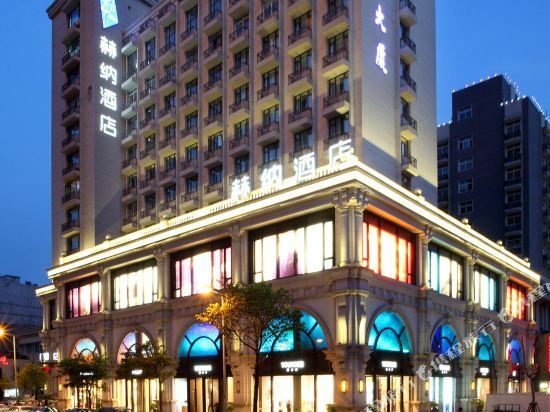 Situated on the Hubin pedestrian street, the Hangzhou Renhe Hotel (Hangzhou Renhe Fandian) is close to West Lake, many business, entertainment and shopping centers, making it an ideal location for your trip to Hangzhou.<br><br>This Hangzhou hotel features queen rooms, standard rooms and lake-view rooms enabling guests to enjoy the beauty of West Lake. All rooms are equipped with floor-to-ceiling windows, high-speed Internet access, VOD system and central air conditioning.<br><br>For recreation, guests can go to the beauty salon or have a cup of tea at the teahouse. This hotel also provides an underground parking lot for guests traveling by car. 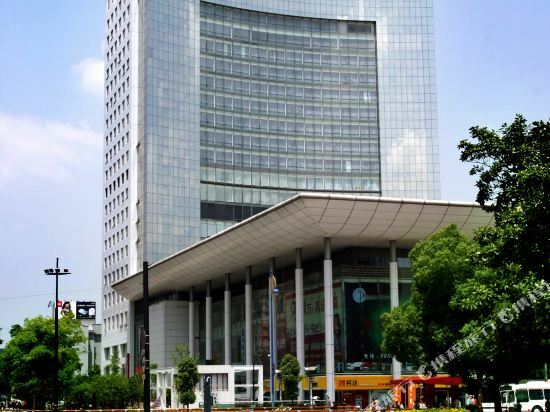 Located&nbsp;at&nbsp;the&nbsp;intersection&nbsp;of&nbsp;Huzhou&nbsp;Street&nbsp;and&nbsp;Shenban&nbsp;Road,&nbsp;the&nbsp;Nade&nbsp;Freedom&nbsp;Hotel&nbsp;(Nade&nbsp;Ziyou&nbsp;Jiudian)&nbsp;is&nbsp;opposite&nbsp;Zhejiang&nbsp;University&nbsp;City&nbsp;College&nbsp;and&nbsp;close&nbsp;to&nbsp;the&nbsp;Grand&nbsp;Canal.&nbsp;It's&nbsp;also&nbsp;a&nbsp;short&nbsp;drive&nbsp;from&nbsp;Wulin&nbsp;Square. <br> <br>Guestrooms&nbsp;in&nbsp;this&nbsp;Hangzhou&nbsp;hotel&nbsp;are&nbsp;equipped&nbsp;with&nbsp;satellite&nbsp;TVs,&nbsp;hair&nbsp;dryers,&nbsp;in-room&nbsp;safes&nbsp;and&nbsp;mini-bars,&nbsp;as&nbsp;well&nbsp;as&nbsp;central&nbsp;air-conditioning. <br> <br>Restaurants&nbsp;located&nbsp;within&nbsp;the&nbsp;hotel&nbsp;specialize&nbsp;in&nbsp;Hangzhou&nbsp;cuisine&nbsp;and&nbsp;Western&nbsp;dishes.&nbsp;24-hour&nbsp;in-room&nbsp;dining&nbsp;is&nbsp;also&nbsp;available. <br> <br>Recreational&nbsp;options&nbsp;include&nbsp;karaoke&nbsp;and&nbsp;billiards&nbsp;facilities,&nbsp;while&nbsp;guests&nbsp;may&nbsp;also&nbsp;enjoy&nbsp;a&nbsp;massage&nbsp;or&nbsp;spa&nbsp;on&nbsp;the&nbsp;premises. 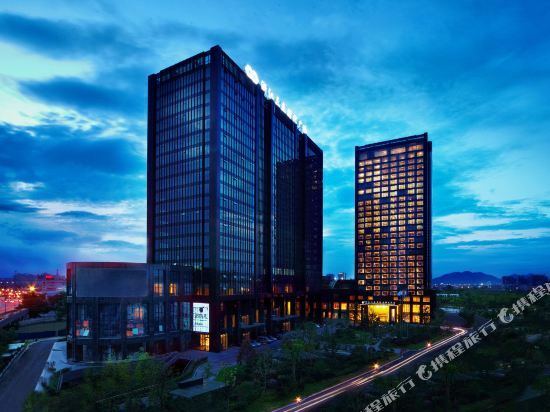 Sanli New Century Grand Hotel Zhejiang is a member of New Century Hotel Group, which is one of the first luxury business hotel in hangzhou main urban area. 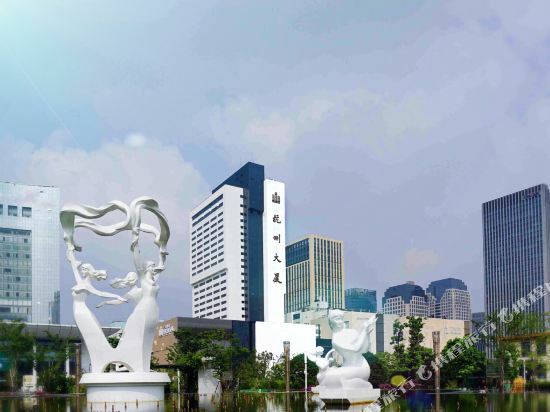 The hotel is located in the core area of business district in the northern part of Hangzhou, to the north, is lies against a Canal tributary, Shangtang River,.To the east is faces the beautiful scenery of northern City Sports Park of 46 hectares in area. An oasis is in the city. 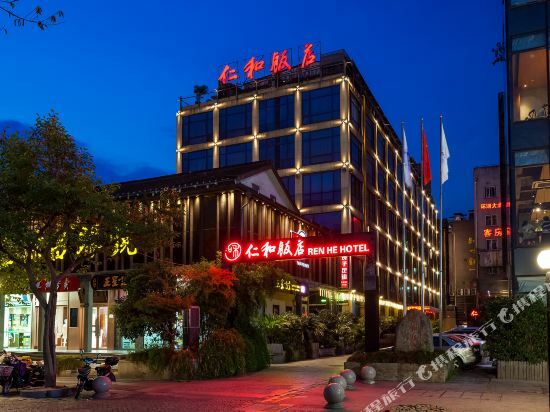 The hotel have a very convenient traffic network.The hotel About 8 kilometers away from the WestLake and is only 35 kilometres from the Xiaoshan airport.<br>The hotel owns 418 luxury guestrooms with beautiful city or garden views. Kaiyuan custom-made the King kohl sleeping system and bedding article bring you comfortable sleep experience. The hotel adopts the world famous brand "Hansgrohe" for the bath room appliances, which brings VIP high-quality bathroom enjoyment.<br><br>FOUR SEASONS CHAMBER and COOKFUN TOWN, which is glorious and elegant, provide you with not only the new Hangzhou dishes, Guangdong dishes, nests abalones and fines but also local flavor dishes with an unique style. Hawaii café with original flavor will be cooked by famous western cooks, so the west food will have excellent taste.<br><br>Hotel adhering to the Kaiyuan hotel group of attentive customer service, is the good choice of your business meetings, travel and leisure. 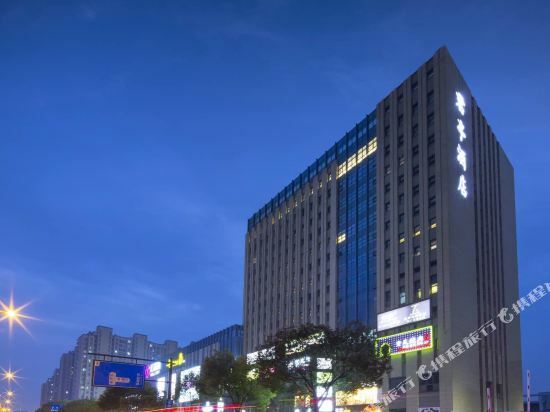 Hangzhou Zhongshan International Hotel is located at the corner of the booming commercial street-Pinghai Road, a stone’s throw from the West Lake and Hubin Pedestrian Street as well as Yan’an Road Commercial Street. There are a great number of stores around it. 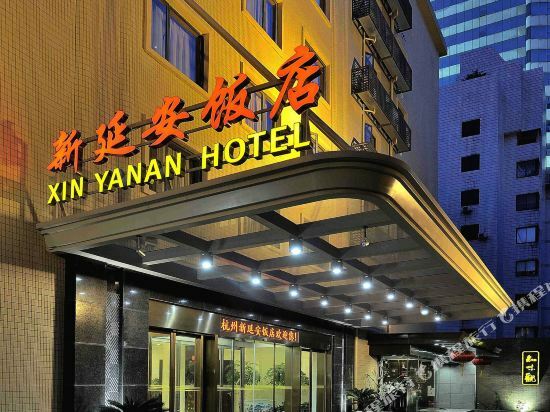 The hotel enjoys a convenient traffic, with a special-route bus from our hotel to Xiaoshan airport coming and going one shift every 30 minutes. There is an independent parking lot inside our hotel. It is really an ideal accommodation premise for conference, business and tourist guests.It is our unremitting pursuit to build a quality hotel of culture that always tries to do better, makes a difference and abounds in cultural foundation. 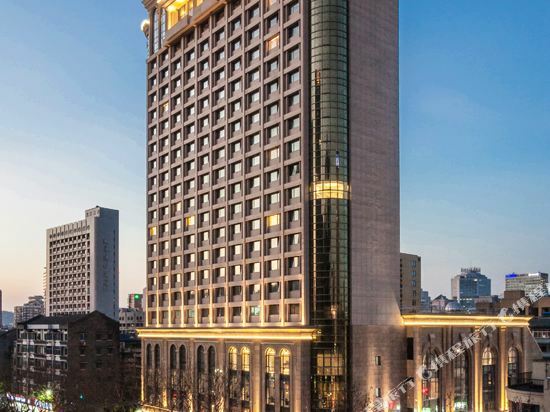 Hangzhou Zhongshan International hotel is generally European style in architecture, and adopts the profound historic and cultural features of Hangzhou in its indoor design, perfectly displaying such Hangzhou cultures as West Lake, silk, tea and well in every space of the hotel. The cultural corridor on the second floor wonderfully combines the oriental culture and western culture. The hotel owns different types of luxury standard rooms and luxury suites and 4 large and small luxury conference halls, among which the Lakeview Luxury Multi-functional Hall has the capacity of holding about 200 people and the conference rooms can hold 25-80 people. Entertainment center of our hotel provides various entertaining services such as chess & cards room, and KTV. The Chinese restaurant of Zhongshan Mansion 6 is a top-grade club style restaurant mainly serving new style Hangzhou cuisine, initiative cuisine and Guangdong cuisine, which encompasses 6 luxury boxes of different sizes with the largest one having the capacity of holding 16 people for dinner. Furthermore, the building top has a Lakeview banquet hall that can serve 200 people at the same time. 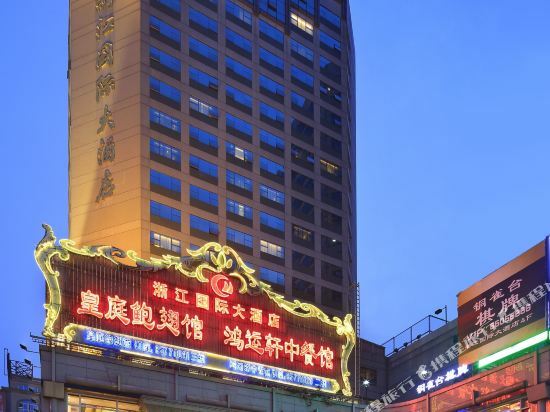 The Huachen International Hotel (Huachen Guoji Fandian) is within walking distance of Hubin Pedestrian Street and Hangzhou's celebrated West Lake, two of Hangzhou's premier attractions. Shuttle buses run every 15 minutes, making transport to Hangzhou Xiaoshan International Airport easy and convenient. This Hangzhou hotel has nicely decorated guestrooms equipped with satellite TVs, international direct dial phones, internet access, and mini-bars. For guests wanting a more up-scale visit, there are executive rooms available. The hotel has two established restaurants under its roof. One serves Chinese cuisine, specifically Szechuan and Hunan flavors, and seats guests in a cozy, Chinese setting. The other restaurant features Western fares, done in a buffet style, and also serves a breakfast buffet. Finally, a bar is open to offer any drinks to guests and allows guests to sit back and lounge. Besides providing a business center, business guests will also find there are many differentt sized meeting rooms available. Each room is complete with conference equipment and supporting services, allowing guests to be very taken care of when it comes to meetings and events. To relax, guests have multiple facilities to use. A fitness center is open to guests to work out in and stay fit, while there are KTV rooms and different game rooms to enjoy. 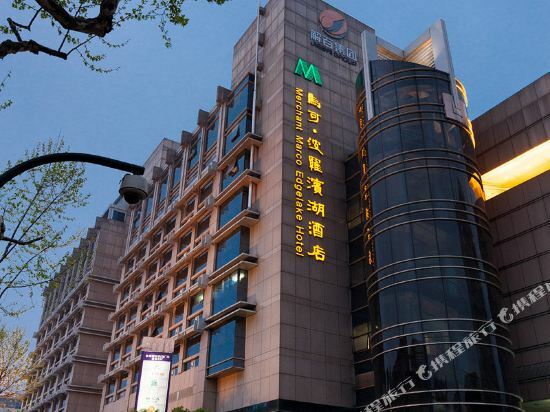 Situated in Hangzhou's vibrant downtown area, the Merchant Marco Hotel (Makeboluo Jiari Jiudian) is within easy reach of Hangzhou's best-known attraction, picturesque West Lake and offers easy access to the city's commercial shopping centers including Hubin Road and Nanshan Road.<br><br>This Hangzhou hotel houses guestrooms ranging from Standard through Queen to Executive Lake-view Suites and apartment style accommodations. All rooms boast LCD televisions, bathtubs and broadband Internet access. Non-smoking rooms are available. For ultimate comfort and West Lake views check into the West Lake Suite where floor-to-ceiling windows illuminate a spacious two-room suite overlooking the scenery that earned Hangzhou the compliment of being "the most beautiful and elegant place in the world" from Marco Polo. <br><br>Three restaurants provide a variety of cuisines, from Western to Chinese, sure to satisfy any guest's tastebuds. For something a little different, check out the Mediterranean Sunshine Bar on the 17th floor, which serves authentic Western food and a pleasing array of Mediterranean dishes with more of those spectacular lake views.<br><br>Guests traveling on business can easily make use of the hotel amenities provided. Business guests can find the business center for any of their needs and are able to use the various conference rooms at their disposal.<br><br>After a hard day's sightseeing in Hangzhou and the surrounding area, guests can find they can enjoy drinks at the bar or relax in the beauty salon. For those who still have some energy, there is a hotel gym which, though small, is equipped with machines from leading Italian brand TechnoGym, giving you an all-around good work-out. If you want to stay in the best hotel in Hangzhou, China, please come to Trip.com for a custom trip. 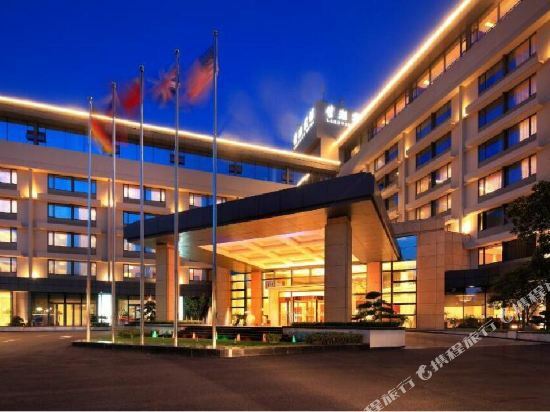 Staying in exclusive Hangzhou Hangzhou East Railway Station hotel Trip.com offers, you can fully relax and enjoy the stay in Hangzhou and around Hangzhou. 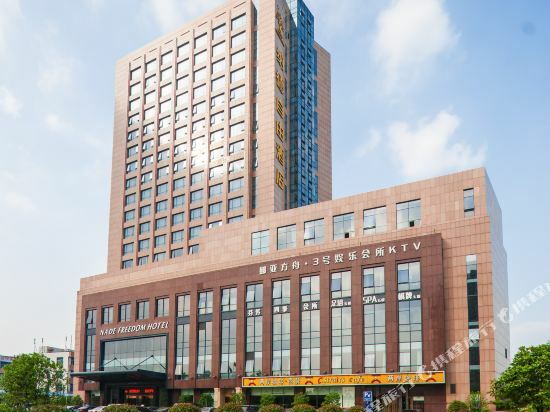 All these Hangzhou Hangzhou East Railway Station hotels lead in the industry in aspects of environment and recreation facilities, providing the best hotel service in Hangzhou. 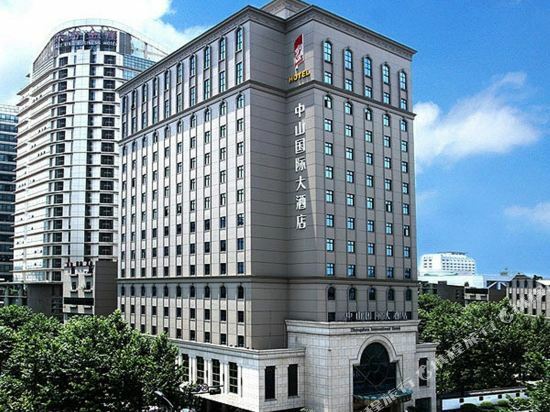 To ensure that you can find the latest Hangzhou East Railway Station hotel in Hangzhou, the latest hotel price as well as hotel facilities and indoor facilities information will be offered. 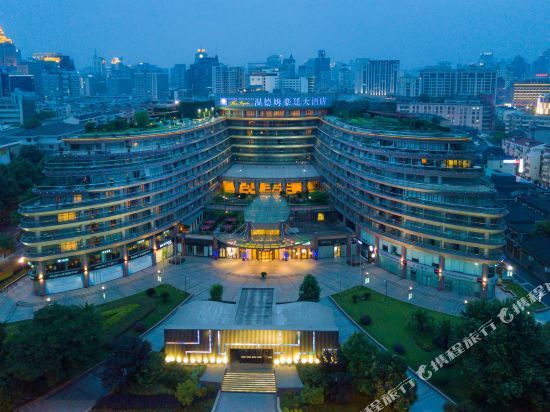 In the meantime, detailed photos of Hangzhou Hangzhou East Railway Station hotel will be displayed, making you know quickly whether hotel’s interior environment meets your taste. 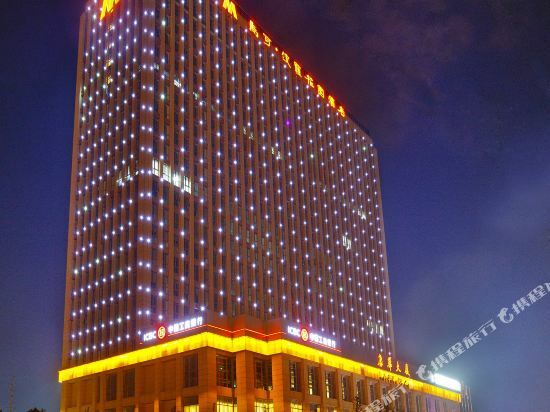 Besides, you can know specific location and reviews on Hangzhou Hangzhou East Railway Station hotel from millions of users. If you want a nice room with limited budget, please filter through price and distance to get an appropriate Hangzhou Hangzhou East Railway Station hotel. 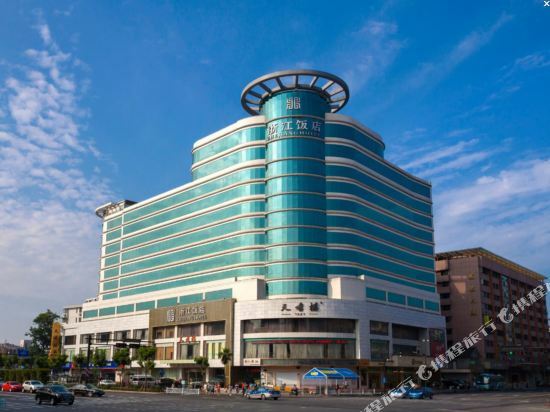 To ensure you can experience the best Hangzhou Hangzhou East Railway Station hotel, users and we give a comprehensive rating on hotel, which gives useful help. Believe it or not, as the biggest online travel service company, we have the best service assurance and perfect users’ experience to meet your requirements in different aspects, no matter it’s Hangzhou hotel or Hangzhou Hangzhou East Railway Station hotel.